The FX-4000 Headlight Strobe kit can be used as Headlight or Taillight Strobes!! 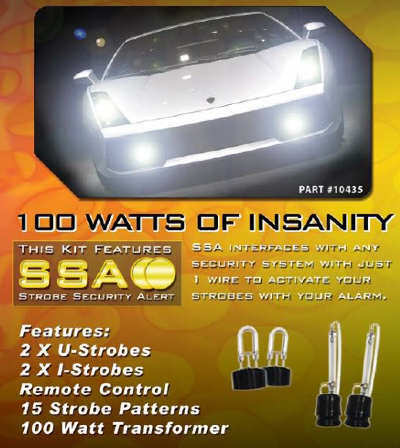 It is a 100 Watt kit with 15 various flashing patterns for the strobes. The kit contains 2 U-shaped strobes and 2 Linear Strobes. We have limited quantities on these, so get yours now!